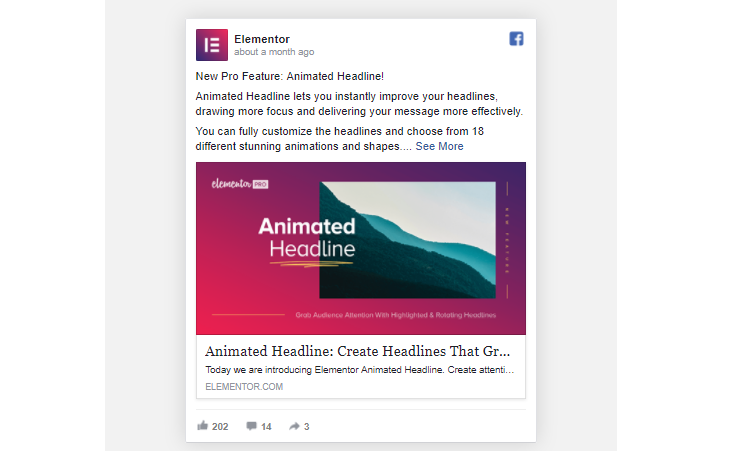 The Facebook Embed widget lets you easily embed Facebook posts, videos or comments on your website’s page. The following options are available depending upon which type of embed is chosen: Post, Video, or Comment. Read the full release post about the Facebook Embed widget.